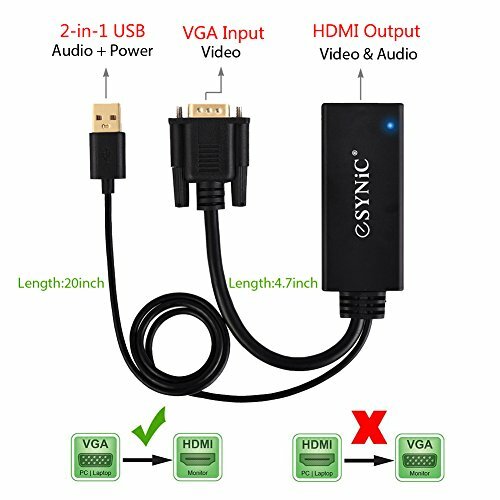 Nhà cung cấp: eSynic-us - giá Amazon: 7.95$ - shipping rates and return policy. 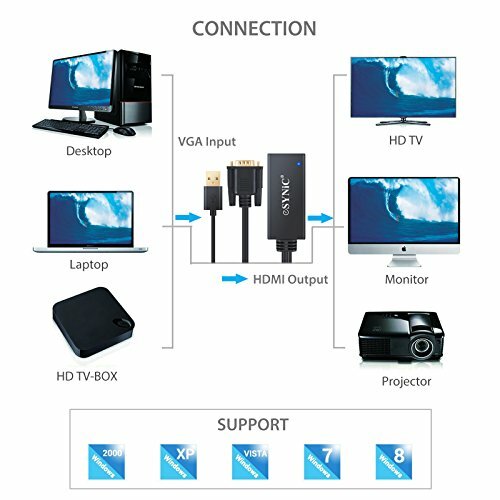 This VGA to HDMI Converter can Convert VGA and USB Audio Analog Signal ( Desktop/Laptop/HD TV-Box, etc ) to Digital HDMI Signal (Monitor/HDTV/Projector )VGA Output to HDMI Input. 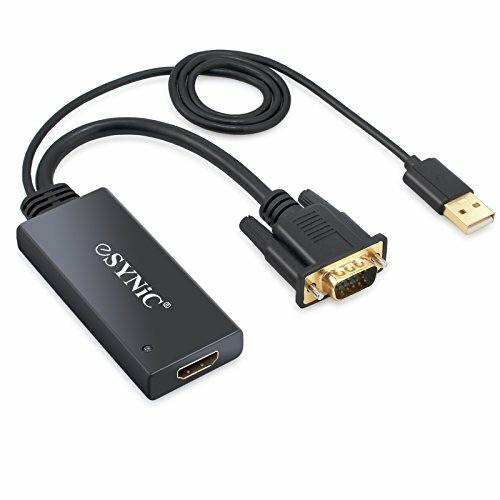 Gold-Plated Connectors Improve the Signal Performance, Provideing Durability and the Cable Tail Reduces Stain on the HDMI Port of Your Tablet, Video and Audio in Full Digital HDMI Format, NO Transmission Loss. 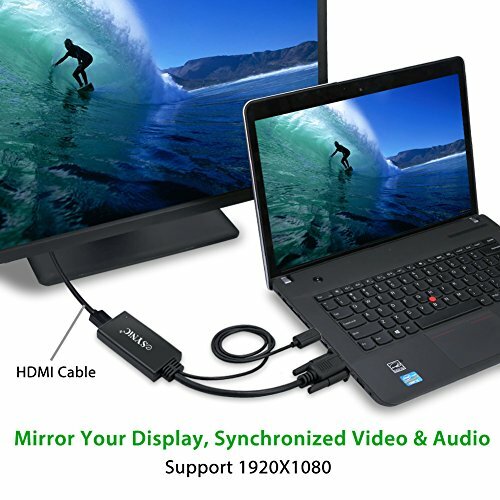 Mirror and Support Extended View, Improve Working Efficiency. 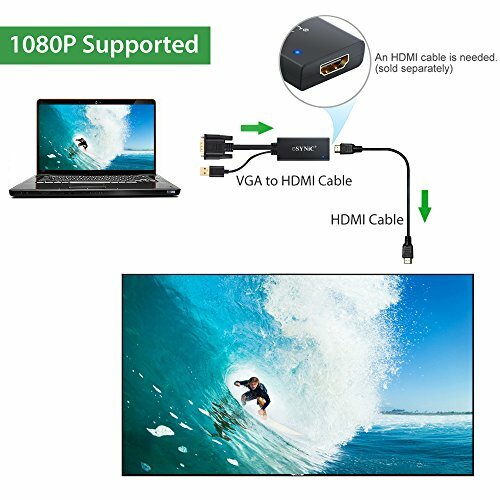 Support Resolutions up to 1080p/1920 x 1080 PC Graphics. 2-In-1 USB: USB Interface Allows Audio and Charging at the Same Time, No Power Adapter Required, Low Power Consumption. 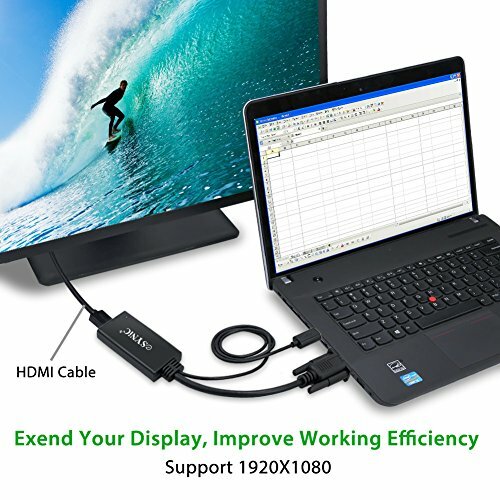 The USB Cable Length is 20inch. 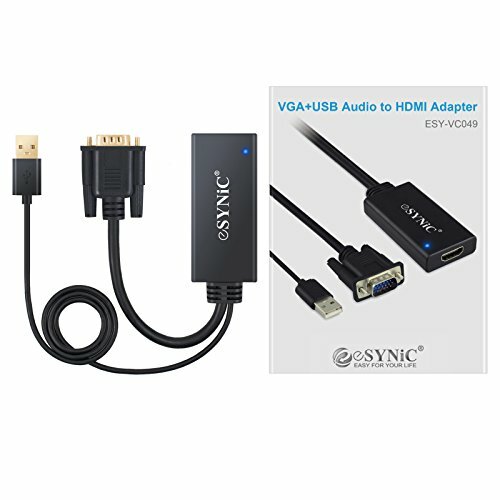 Easy Plug & Play Installation: Simple Installation, No Driver or Software Installation Required.